The Artwork "Hashtag: TankManRocks" by Troy Davis is part of the "Here's To Hollywood" exhibit at Les Zazous Postmodern Art Gallery in Bellaire, Ohio. It celebrates Tank Man, the hero of the Tienanmen Square pro-democracy protests of 1989. 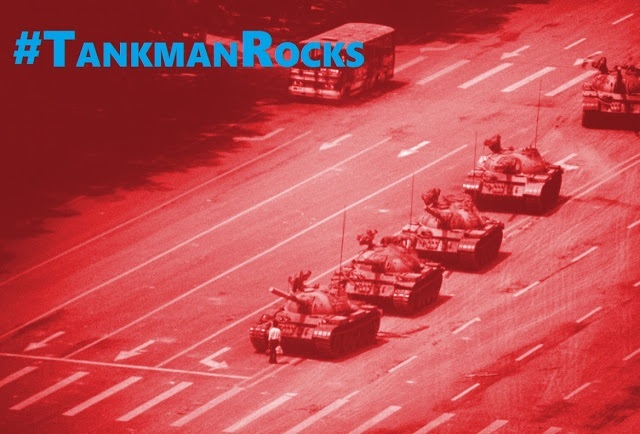 Les Zazous is proud to announce "The Tankman Challenge." Any filmmaker who vows to include the work in his or her film will receive a free signed and numbered print of the work.